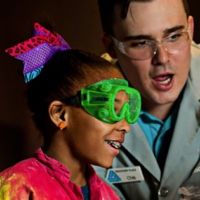 CHARLOTTE – On Saturday, August 26 Discovery Place will launch the Year of the Engineer, a multi-faceted initiative spanning the 2017-2018 school year celebrating the creativity and inventiveness of engineers. Data from U.S. Bureau of Labor statistics says that the field of engineering is expected to grow as much as 10 percent in the coming decade. However, studies also show that most graduating high school students in North Carolina are not adequately equipped to meet entry-level job requirements in the skilled trade, the technology sector, or advanced manufacturing entities. 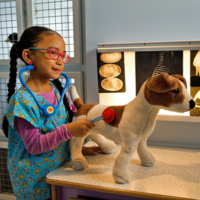 As a nationally acclaimed science center, Discovery Place Science shares a responsibility to address our region’s STEM education gap and contribute to the building of a homegrown qualified workforce for STEM careers. Presented by Lead Partner Albemarle Foundation, the Year of the Engineer aims to shine a light on STEM innovation and empower local youth to become the problem solvers of the future. Throughout the Year of the Engineer, Discovery Place has committed to partnering with 250 engineers to provide 2,500 experiences to expose 250,000 guests to the wonders of engineering. 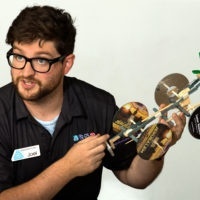 In addition to the monthly programs, Discovery Place Science will also host signature events and community programs throughout the year such as the return of the Charlotte Mini Maker Faire and the Charlotte Hackathon, host Pop-Up Make initiatives in underserved neighborhoods, and debut a new engineering-focused exhibition this fall, Da Vinci’s Machines. “When you think of engineering, many people think about constructing bridges and skyscrapers or mathematicians crunching difficult numbers all day, but in reality, engineers are creative problem solvers. Our hope is that the Year of the Engineer will show the imaginative side of engineering by offering interactive, messy and creative opportunities that engage guests with important engineering skills that are also fun,” said Joanie Philipp, Chief Operating Officer of Discovery Place. From the world’s tallest buildings to underwater robots and a solar car race across Australia, Dream Big celebrates the human ingenuity behind engineering marvels big and small and shows how engineers push the limits of innovation in unexpected and amazing ways. With its inspiring stories of human grit and aspiration, and extraordinary visuals for the world’s largest screens, Dream Big reveals the compassion and creativity that drive engineers to create better lives for people and a more sustainable future for us all. Thinker Space is an interactive maker lab that encourages guests to take risks and experiment with new tools and materials to create something from scratch. Guests can follow along with facilitated building prompts or make their own design using tools (from simple hand saws to advanced 3D printers) and resources (metal, wood, wires, microchips, etc.) to hand-craft unique creations. The Year of the Engineer runs Saturday, August 26, 2017 – Saturday, June 9, 2018. All activities are included with Museum admission, except for Dream Big in IMAX which is only $5 when purchased with Museum admission. Admission to Discovery Place Science is $17 for adults (14-59); $13 for children (2-13); $15 for seniors (60+); and free for Discovery Place Science Members and children younger than 2, plus tax. Discounts are available for groups of 15 or more. Children age 13 and younger must be accompanied by an adult while in the Museum. Guests can purchase tickets online at science.discoveryplace.org, via phone at 704.372.6261 x300 or in person. Lead support for Year of the Engineer comes from Albemarle Foundation, Ingersoll Rand, Duke Energy, Bank of America, and Lowe’s. Additional program support is provided by Rodgers Builders, Balfour Beatty, Little, Shurtape, Modern Fabric, and Two Men and a Truck.